Jayne Kamin-Oncea/Getty ImagesShohei Ohtani pitching for the Los Angeles Angels. Shohei Ohtani is playing as both a pitcher and a hitter for the Los Angeles Angels, and excelling at both roles. That sort of two-way excellence is unprecedented in MLB history. Shohei Ohtani is doing something MLB has never seen before, lighting it up as both a pitcher and a hitter. 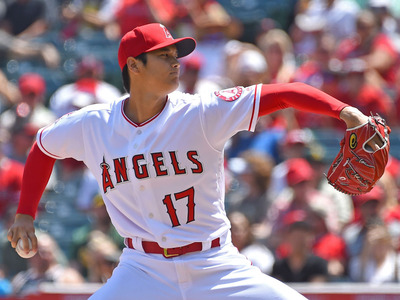 On Sunday, Ohtani had a perfect game through six innings and ended with seven strikeouts. Oh, and this was after hitting home runs in three straight games as the Angels designated hitter. Ohtani has frequently been called the Babe Ruth of Japan, in reference to the most well known player in the majors to serve as a pitcher and hitter. But even the comparisons to the Babe may be underselling just how good Ohtani has been at both roles already, as noted by the Washington Post. One thing is for sure, watching Ohtani continue to blaze this unique trail for the Angels will be one of this year’s most fascinating stories in not just baseball, but all of sports.